If you’re relocating to Atlanta, you’re in good company. 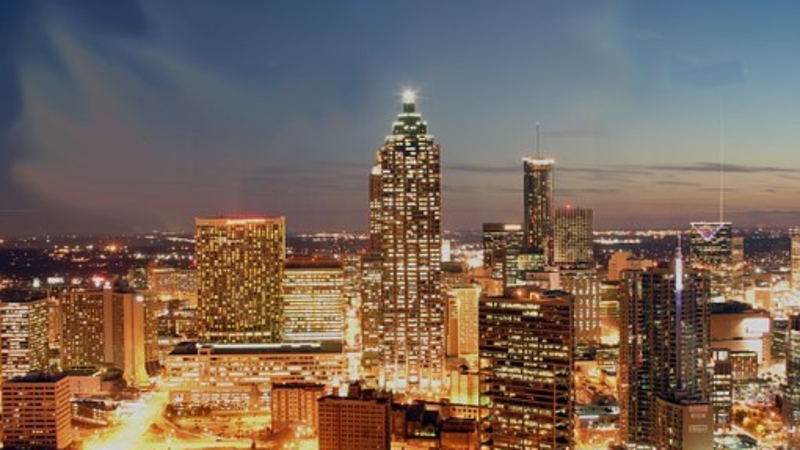 Metropolitan Atlanta is one of the fastest growing cities in the Southeast, and currently has the third highest concentration of Fortune 500 companies in the entire United States. Here are ten more things to know about relocating to Atlanta. Atlanta has four distinct seasons, and none of them are so drastic that you need to prepare yourself for the relocation. Technically, Atlanta has a humid subtropical climate, but that just translates to warm summers with temperatures in the high 80’s or low 90’s and chilly winter months when the thermometer might drop to the low 40’s or mid 30’s. The fastest growing job sectors in Atlanta are technology and entertainment. Four entertainment studios are located in Atlanta, and it’s home to over fifteen Fortune 500 companies. The unemployment rate is near 4.9 percent, which is a tad lower than the rest of the country. Whether you’re relocating to Fulton County, Cobb County, Gwinnett County or staying in Metropolitan Atlanta, your family members will likely have little trouble finding gainful employment. In general, the cost of living is lower in Atlanta. Depending on where you choose to buy, you should be able to get good home prices. The abundance of independently owned businesses has generated healthy competition, making the cost of goods affordable. Atlanta is a hub for all the major airlines, and Atlanta’s Hartsfield-Jackson International airport is the busiest in the country. Atlanta offer residents a light rail streetcar loop called MARTA, an extended public bus system and Amtrak service. Highways connect all the major thoroughfares, but be prepared for commuter traffic. There’s nothing you can’t buy in Atlanta. Whether you want to furnish your Atlanta home with relics from the Broad Street Antique Mall, or browse through upscale brand names at Lenox Square, you’ll find all you need. There are no less than ten private high schools in Atlanta, ten public high schools and twenty colleges and universities. Whatever education goals your family has for your school-aged children, they’ll be able to achieve them in Atlanta. When planning your relocation to Atlanta, count on being outside for a good part of the year. The area’s 343 parks include areas for kayaking, swimming, fishing, hiking, jogging and bicycling. The Chattahoochee River is a popular family destination, as is the skate park at Historic Fourth Ward Park. Being a Southern state, Atlanta offers a lot of Southern charm and hospitality. But the culture is also quite diverse, due to the influence of many different residents from varying backgrounds. You’re just as likely to find an authentic Italian restaurant as you are a down home corner rib joint. The City of Atlanta prizes its entertainment industry, and performing arts endeavors are subsidized. For the resident, that means an abundance of live theater and music performances covering every genre. Atlanta is home to some of the nation’s top teams, including the Atlanta Braves, Atlanta Hawks and Atlanta Falcons. Be prepared for tailgating and displays of team spirit like you’ve never seen before. Your relocation to Atlanta is one of the best moves you can make. For help finding a new home in Atlanta, please contact us today.